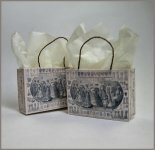 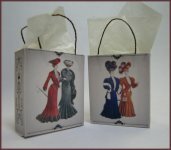 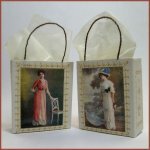 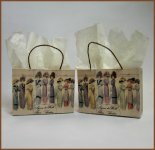 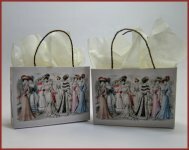 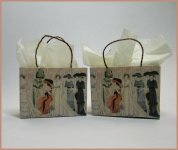 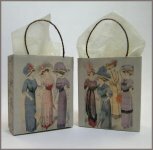 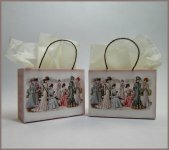 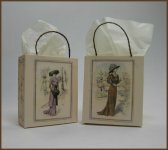 Kits to make beautiful shopping bags for your shop setting, or as an accessory for your favorite doll. 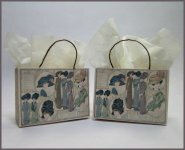 Beautiful artwork from my personal collection, high quality printing and paper, sealed and uv protected. 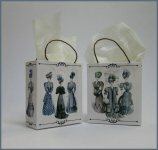 All materials including cording and tissue paper are included. 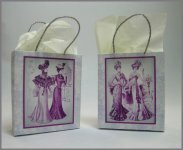 Tools for assembly : scissors, needle, small ball stylus tool.